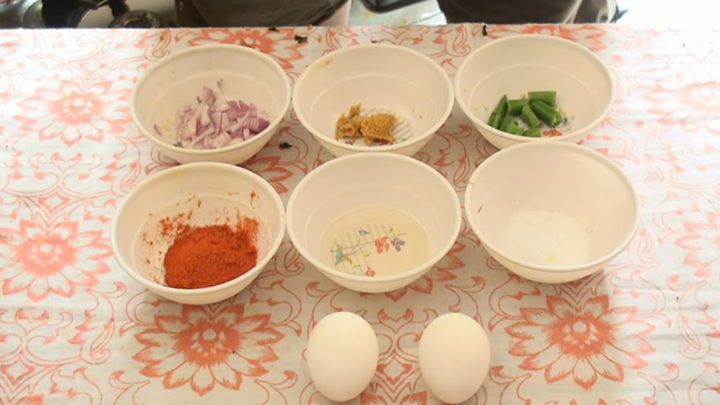 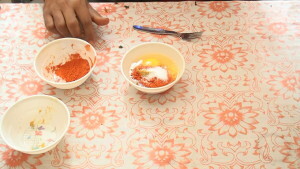 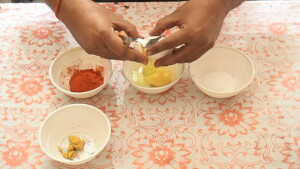 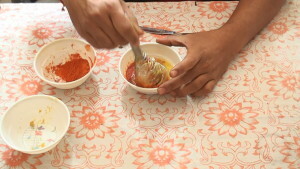 Crack the eggs, then add sufficient red chili powder, ginger garlic paste and sufficient salt. Now use egg beater, beat the egg liquid thoroughly so that every ingredient should integrate with each other evenly and nicely. 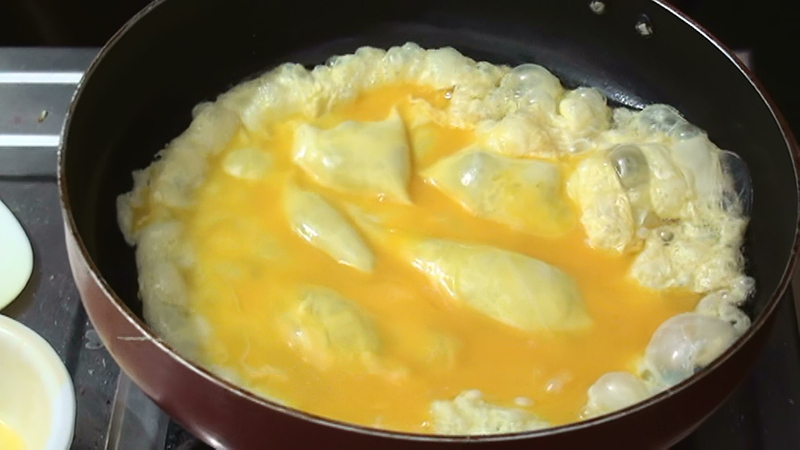 The final egg liquid should be in this way. 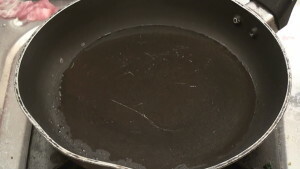 Heat the egg pan, put the stove in high flame and add sufficient oil. 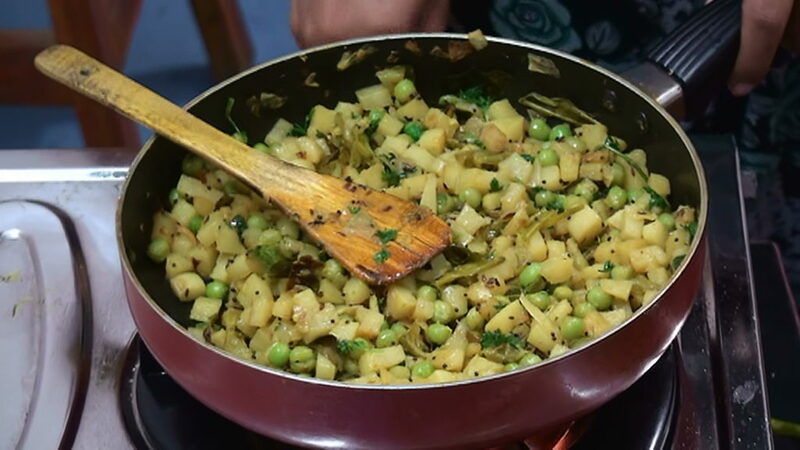 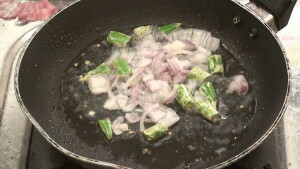 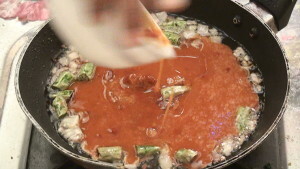 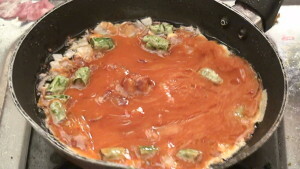 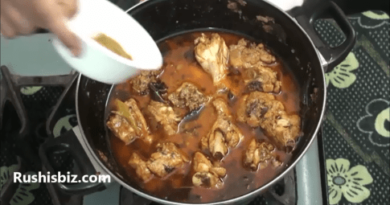 Once the oil is heated, put the stove in low flame, add green chili and onions, fry them properly for one minute in such a way that the onions and chili should change into the color of brownish white. 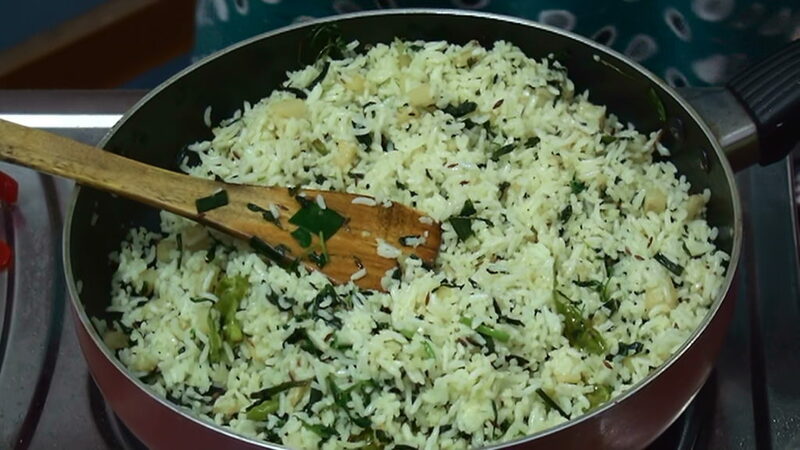 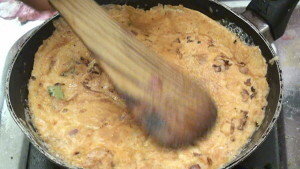 After completion of one minute, once the ingredients become soft, add egg liquid and distribute evenly by handling the pan manually, and allow for one or two minutes in low flame. 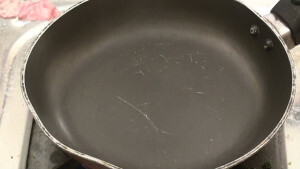 After completion of two minutes once again adjust the liquid evenly through out the pan and once again allow for one or two minutes. 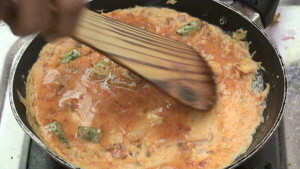 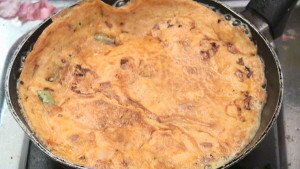 After completion of one or two minutes, once it gets into a shape, try to flip the omelette to other side and allow for one more minute in low flame. 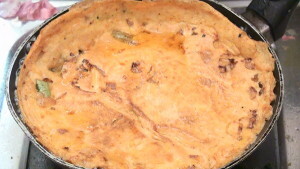 After completion of one more minute we can just see the omelette popping up nicely, now try to flip to other side frequently for atleast two to three times and allow for final one minute. 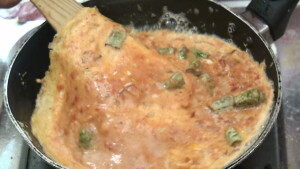 So finally after completion of one minute we are absolutely done with the hot and delicious egg omelette which is ready for serving.